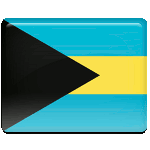 Labor Day is a public holiday in the Bahamas observed on the first Friday in June. It celebrates the achievements of workers and their contribution to the development of the nation and society. Labor Day commemorates a workers’ strike that took place on the island of Nassau on June 7, 1942. The workers of Nassau initiated a full-scale riot, demanding higher wages and better working conditions. Although the strike didn’t last long, it marked an important milestone in the labor movement. Labor Day in the Bahamas is also known as Randolf Fawkes Day. Sir Randolf Fawkes was a famous Bahamian lawyer, politician and trade unionist. He is best remembered for the role he played in bringing about the first black government (“majority rule”) in the Bahamas in 1967. Before that, the Bahamas was ruled by a white elite, despite its predominantly black population. Labor Day is celebrated on the first Friday in June instead of June 7 in order to create a long weekend for workers. The celebration features a big parade that marches through the streets of Nassau. The procession consists of musicians and traditional performers in colorful costumes, as well as members of various labor unions and political parties. The parade ends at the Southern Recreation Grounds, followed by speeches on the occasion of Labor Day.